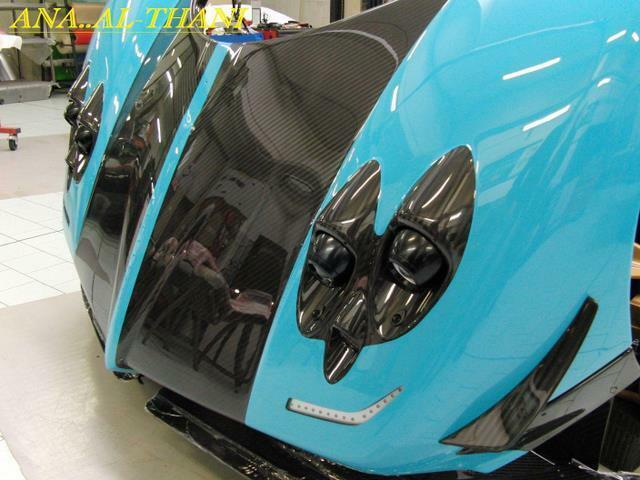 Another special edition of the ultimate supercar from Pagani. The Zonda Uno, which will be the last edition of the Zonda before it gets replaced with the next Pagani model. The Zonda Uno has an enhanced AMG 7.3-liter naturally aspirated V12 engine, that makes 690 bhp. I don't get why the images has Al-Thani on them! I guess someone from Al-Thani is the first to get one, or even made specially for him. This is a special order from an Al-Thani, most of his cars are in the same color including a CCXR.